The psychology of lying can be a complicated concept because people lie for different reasons. While some people lie in an attempt to avoid punishment or to avoid hurting someone else's feelings, others lie out of impulse or because they want to present themselves as someone they are not. There are many explanations for why people lie. Everyone tells lies once in a while, although the number and severity of the lies varies from one person to another. The most common reasons people lie follow. The person who is telling the lie actually believes it's an extremely important issue while others think it's an insignificant matter. This is the number one reason why people lie. They simply believe what they are lying about matters when in reality it doesn't. People who lie like to have control of a situation. This will enable them to get the reaction they are looking for or possibly influence decisions. If they tell the truth, they feel like they're giving up control. People lie in order to impress you or get you to like them. They don't want to disappoint you, and they're worried if you learn the truth about them, it will cause you to lose respect or reject them. If one lie is told, it is not unusual for another lie to be told to cover for the first one and so on and so on. The original lie grows into a series of lies. Once any lie from that series is disproven, things begins to unravel and the distrust begins. A person may lie because it's not a lie to them. When it comes to habitual or repetitive liars, they can feel so much overwhelming stress at the moment they need to remember something, that in a panic their memory becomes unreliable. So when they lie, it is actually not deliberate. It is because they genuinely believe what they're saying is the truth. If this becomes severe, a complete alternate universe can be developed in their heads in order to accommodate their beliefs. The person telling the lie so desperately wants the lie to be true that their desire overwhelms them. They will lie instead of telling the truth. They hope that by repeating it over and over, they can somehow make it become true. They lie to be malicious and hurt other people. Their lies are their excuses for doing something wrong. They lie to inflate their image. They lie to get ahead financially or in their career. They lie to cover up for a mistake. They lie to take the easy way out. They need to serve their own self interest. When time is short and they are 'pushed into a corner' and need to react quickly. A little white lie is technically a lie with good intention. They are typically used when you are trying to avoid hurting someone's feelings. While considered a trivial and mundane lie, they are actually never harmless and never beneficial. 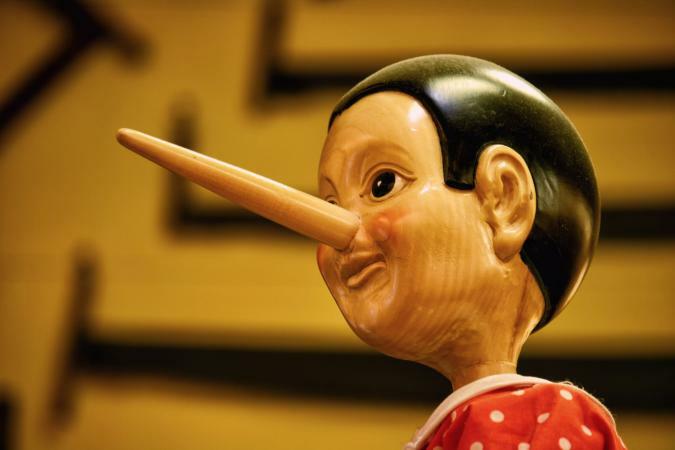 Little white lies can desensitize you, making it easier to eventually tell bigger lies. It can also possibly steer you into more serious types of deception. So, no matter how little you think the white lie is, it's still a negative and destructive practice. Little white lies can cause doubt and uncertainty, leading to suspicion and trust issues and ultimately betrayal. On the other spectrum, however, are people who tell lies pathologically. They feel a compulsion to tell lies and may lie for no apparent benefit whatsoever. People in this category often qualify for a diagnosis of a mental health disorder as designated by the American Psychiatric Association's Diagnostic and Statistical Manual of Mental Disorders (DSM). Common diagnoses associated with patients who consistently lie include the following. This disorder is also known as sociopathy. It is a mental condition in which the person has no regard for right and wrong. Also, no remorse is shown for their behavior. They persistently lie in order to deceive others and often become criminals. This is a mental condition that affects how you feel about yourself and others. It exhibits varying moods and behavior. This results in impulsive behavior and unstable relationships. The lies tend to stem from emotional manipulation. This mental condition is characterized by exaggerated emotions and demanding attention seeking behavior. Lies are incorporated into this behavior. There can be intense episodes of anger, depression, and anxiety lasting for hours to days. This mental condition is when a person acts as if they have a physical or mental illness but do not. They lie about their symptoms. They may alter tests, fake symptoms and hurt themselves to bring on symptoms. Other mental disorders exist that may result in patients telling lies, but not realizing that what they are saying is not true. Examples include Paranoid Personality Disorder or some of the Dissociative Disorders. Furthermore, some people are led to lie as a result of their disorder even though the disorder itself does not directly cause the lying. For example, a person diagnosed with an eating disorder may lie about caloric intake in an attempt to avoid eating another meal, or a compulsive gambler may lie about how much money was spent at a trip to the casino. On the other hand, some people who lie have no mental disorder at all. Neuropsychologists know that there is a distinct difference in brain activity when a person tells the truth as opposed to when a person tells a lie. 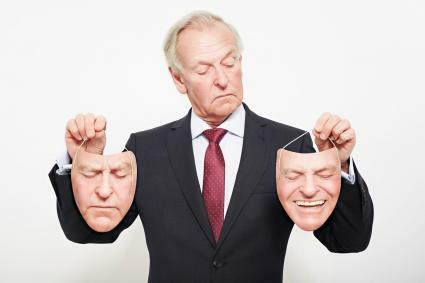 Different parts of the brain are used to tell a falsehood deliberately than are used to speak the truth, so from a neuropsychological viewpoint, there is a distinct difference between the two.This is the reason why there is a physical reaction to the act of telling a lie. There is much more to telling a lie than meets the eye. Lies are common. People studying the psychology of lying will soon find telling lies does not automatically indicate any type of mental disorder. Even if there is an instance where a person tells a lie without first considering the reasoning behind it or the consequences resulting from the lie, this is not considered a symptom of psychopathology. It would only be considered a symptom if the person does this often and it has negative effects on his or her life. Lying takes many forms, whether it is mere exaggeration or blatant untruths. It is the severity and frequency of the lies and the reasoning behind them that points to a psychological problem. People who have psychological problems that result in perpetual lying can seek treatment with a competent behavioral professional. Treatment may include counseling, behavior modification, or contracts between the patient and therapist that include negative consequences for lying and positive reinforcements when the patient consistently tells the truth. If you have trouble with a compulsion to lie despite efforts to stop, consider seeking out professional assistance from a specialist who has experience in helping people who cannot seem to stop lying. Lying is well researched in the field of psychology, and for this reason there is hope for people who have a problem with compulsively telling lies for whatever reason.